A living testament to the many Cornish people that helped make this wonderful vision possible. The stunningly impressive West Front greets visitors and invites them into a different world. 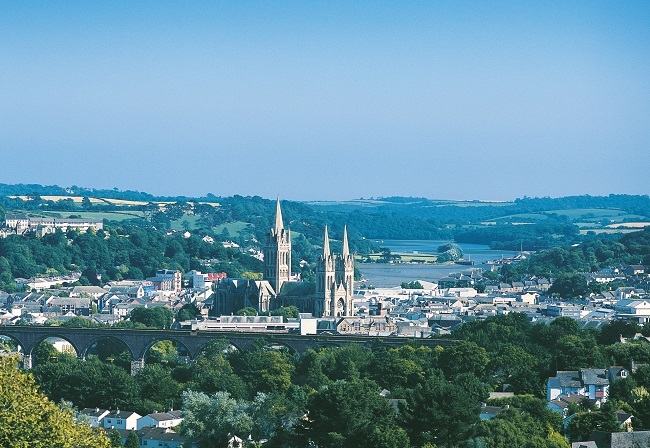 A world of Cornish Saints, choral music, stained glass, prayer, worship and organ music. Into a space that can often be heard reverberating with singing, chatter, laughter or at times, even silence. 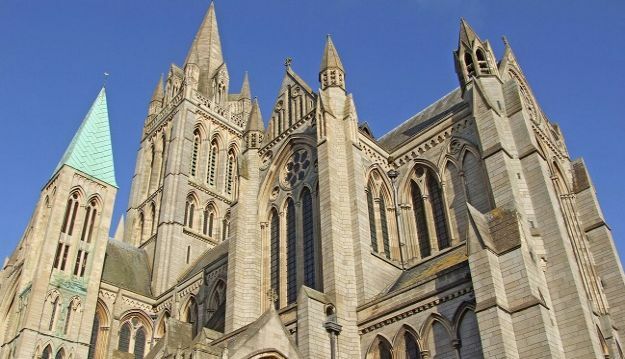 A visit to Cornwall’s Cathedral, in the heart of Truro, will reward you with a warm Cornish welcome, an inspiring space and time for yourself. • The fabulous stained glass including the three Rose windows, the Wesley window and the Cornish Saints window and the curious story of the blue glass. Be amazed by the biggest stained glass project ever conceived and made. • The fantastic panel sculpture behind the High altar of Christ both Crucified and seated in Majesty. 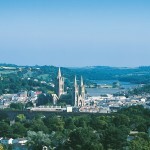 • Can you spot the ‘bend’ in the Cathedral? • Guidebook, The Riddle of the Three Spires trail and children’s trails all available.